Saying that I like cheese would be quite an understatement: I simply love it, I grew up wolfing down slabs of Comté and Camembert, eating Cancoillotte and Mont d’Or by the spoon, and later as a young adult was quite happy to just dine on wine, baguette and Picodon (goats cheese). I still tend to lean naturally towards French and Italian cheeses, however it’s great to see that Australia has been developing a high-quality offer of artisan cheeses (Willowbrae goat’s cheese, Holy Goat La Luna, Bruny Island, Pecora Dairy, Binnorie Dairy… to only name a few). 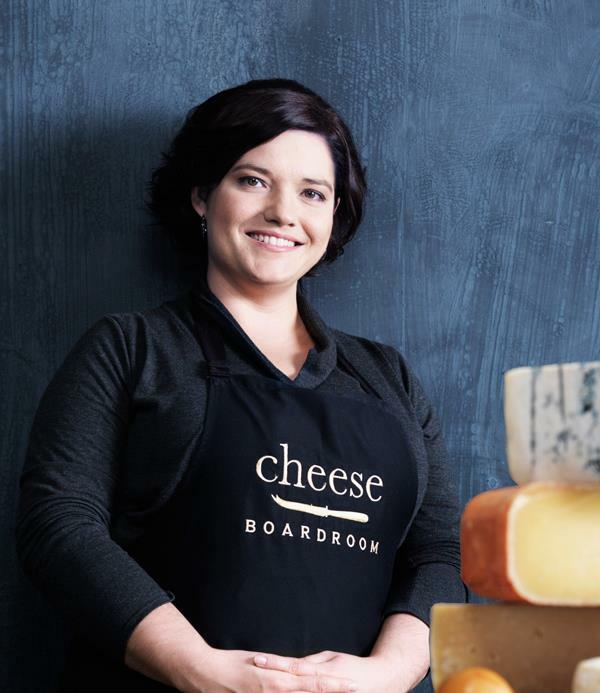 A few weeks ago I got the opportunity to meet Alison Brien, who after initially working in marketing, gave up the corporate world to become a cheesemonger. She became very involved in the cheese industry, visiting cheese producers all the over the state, judging for the Royal Sydney Cheese Show, and writing about cheese. She then created with her husband Channel Cheese, a series filmed all over Australia and overseas, in Europe and the USA, in order to share her experiences and discoveries about cheese. French Wench: Why did you give up a successful corporate career to become a cheesemonger? Alison Brien: Because I am obsessed with cheese! It was really a case of following my passion – I had always been a serious cheese-lover and found myself spending more and more time exploring the world of cheese. An opportunity came up for me to leave my corporate job and work in the world of cheese – so I jumped at it. AB: There isn’t really any sort of ‘fromager course’ in Australia* – although there are some overseas. I spent as much time as I could visiting and working with cheese-makers in Australia and overseas, as well as doing any formal training possible – like becoming an accredited cheese judge. I think the best way to learn about cheese is to eat it regularly and talk with the people who make it. FW: Was the transition difficult? AB: Yes – it was at first, particularly getting into the vibe of working in retail. Plus the money is a lot less, people work with cheese for love – not to get rich! FW: How long after did you decide to create Channel Cheese and why? AB: I had been working as a cheesemonger for a couple of years when my husband and I decided to make Channel Cheese. 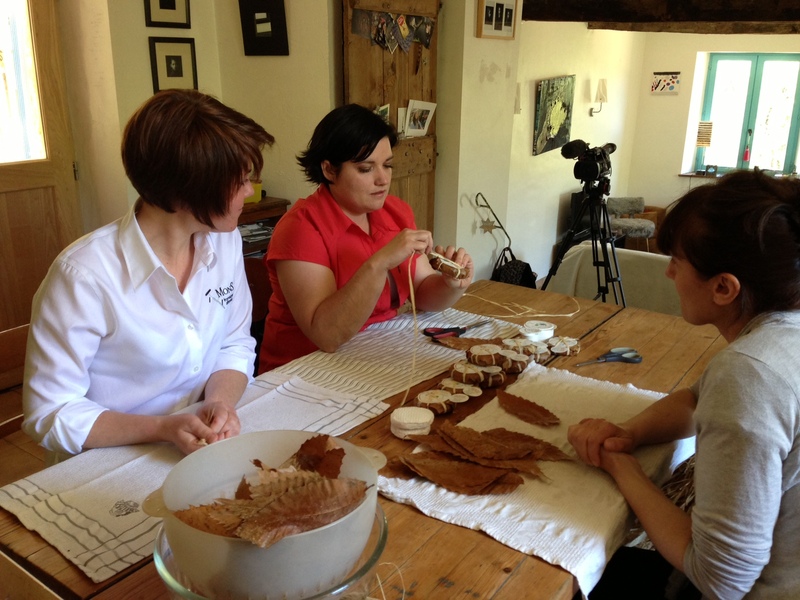 We used to go on lots of cheese fact-finding trips and so many of my customers loved to hear about them and see pictures and videos that is seemed natural to make a show about it. Luckily for us, we had no idea how much work was involved making a TV show – otherwise we might not have jumped in head-first – but it’s been an amazing experience. FW: Where has this project taken you so far? AB: We film international and local stories for Channel Cheese. We’ve filmed a number of segments with NSW producers, and are hoping to cover a couple of other states for the upcoming second series. We have also filmed in the US, France and Italy – managing to get access to truly inspirational people and amazing places that the average tourist wouldn’t be able to. 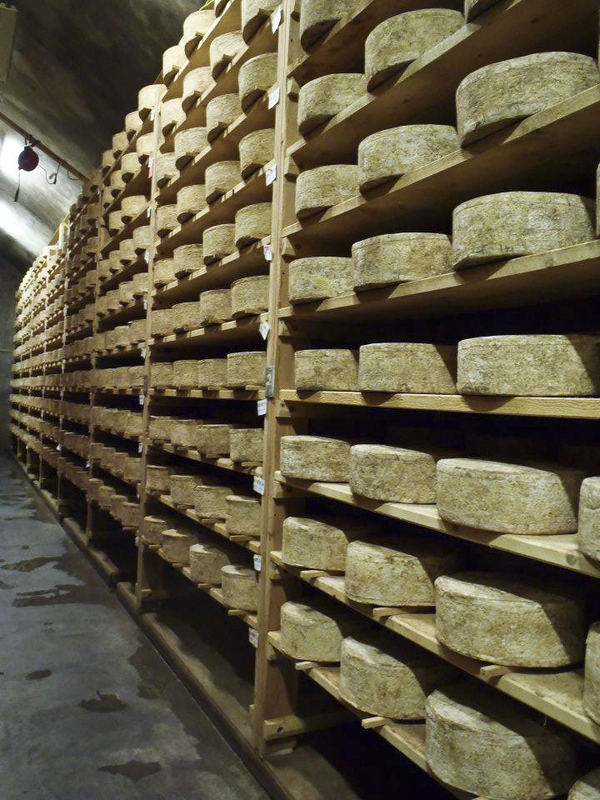 One of our upcoming stories is a profile on a cheese-maker in Alpes-de-Haute-Provence in France. He has a small herd of rare-breed goats and takes a very traditional approach to caring for his herd – leading them up the mountains to graze every day, staying with them and making sure they are OK, before leading them back down the barn at night. 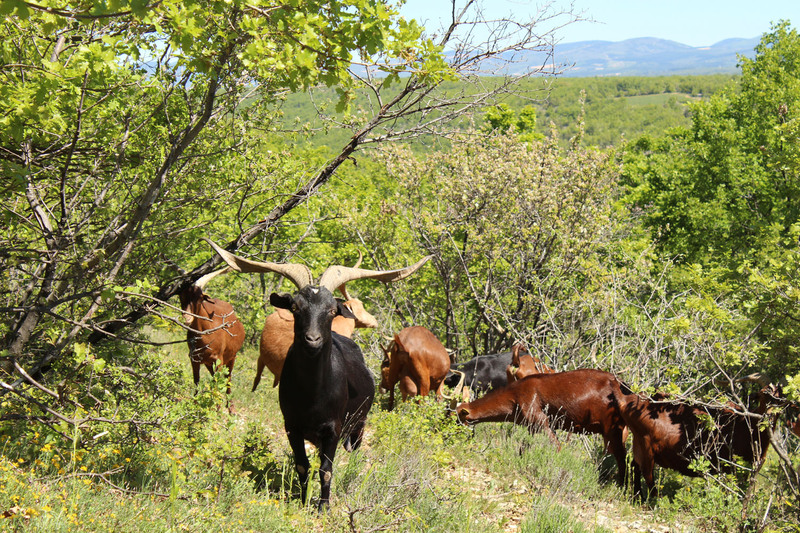 We spent a day with him, and the experience of walking up the mountain with the goats, standing and looking north to the alps while the goats grazed peacefully around us was incredible, I felt very privileged to be invited along for the day. FW: What have been the highlights of your travels with Channel Cheese? What stories have touched you the most? AB: Other highlights include spending a few days at Marrook Farm in NSW, filming the Cheese-monger invitational in New York – a kind of cheese-monger Olympics slash rave party in a warehouse and the lunches that the European cheese-makers insist on putting on for us – it’s always an amazing spread! In New York, we had hoped to do a story with a lady making cheese with human breast milk – but she didn’t want to discuss the project on camera. FW: What have been your impressions of the cheese industries in both “new” and “old” worlds? – How do you think they mainly differ (approach, production methods, taste…)? AB: If I had to make a generalisation, I would say new world cheese-makers are a lot more innovative in their approach – because they aren’t following a centuries-old tradition in the same way that some European cheese-makers are. Many of the cheese-makers in Australia, NZ and America have spent periods working with European cheese-makers, learning traditional techniques and recipes – but then they adapt them to their local conditions back home, in much the same way wine-makers have I suppose. Sometimes I will see some ‘old world’ cheese-makers in Europe using very traditional equipment – like stone draining tables and wooden cheese hoops, although – there are many who manage to keep traditions alive while using very modern equipment as well. In Europe, there is a very different cultural approach to cheese – it’s been a staple part of the diet for thousands of years – a basic, nourishing food that’s linked to the seasons, where as in the new-world, cheese is seen much more as a luxury food, an indulgence. On the matter of taste – let me say, I have eaten delicious cheese from both new-world and old-world producers, and sometimes it’s impossible to guess where a cheese is from, particularly with some of the amazing American farmhouse cheeses at the moment. FW: According to the association “Fromages de Terroir”, French artisan cheese is under threat of disappearing in favour in industrialised cheese (many small regional cheeses have already disappeared in the last few decades): is that something you heard cheese producers talk about during your stay in France? Were they concerned about the future? AB: Yes, that is something that is becoming a hot topic in France. No matter where you are in the world, it’s difficult for artisan producers to compete with industrial food production – consumers are becoming used to taking cheap, high-quality food for granted, something that they are entitled to 365 days a year with little regard to the effort and resources required to make that food, or the traditional seasonal patterns of food availability – all factors that impact artisanal and farmhouse cheese production. EU processes to try and standardise food production are making it difficult for small producers to use traditional methods and equipment, like wooden cheese hoops. It’s also difficult for small producers to keep up with the increasing bureaucracy of making appellation controlled cheeses – paperwork and registration costs. FW: What is your position on the raw milk vs. pasteurised milk debate? AB: Wow – I could talk about this topic for a solid week! In a nutshell, I am firmly pro-choice – I believe makers should have the choice to use raw milk and I believe consumers should have the choice to eat raw milk dairy products. However, saying that – I do not think that raw milk automatically equals great cheese, I have eaten amazing cheeses made with pasteurised milk and I have eaten terrible cheeses made with raw milk. It takes skill to handle and process raw milk – it’s not simply a case of ‘cutting and pasting’ European raw milk techniques and recipes over to Australia. Remember – in Europe they have been working with raw milk for centuries and have a very different supply chain, so there is a collective understanding of how to treat the raw materials and finished goods. Either way – I don’t think we will able to make a wide range of raw milk cheeses here in Australia anytime soon – and it annoys me that promotion of our local industry is sometimes hijacked by this topic, it’s insulting to talented local cheese-makers to suggest that our industry will never progress unless we are able to use raw milk – we need to support good local cheese regardless. FW: What do you think of the cheese industry in Australia in general, and how do you think it is evolving? 1. 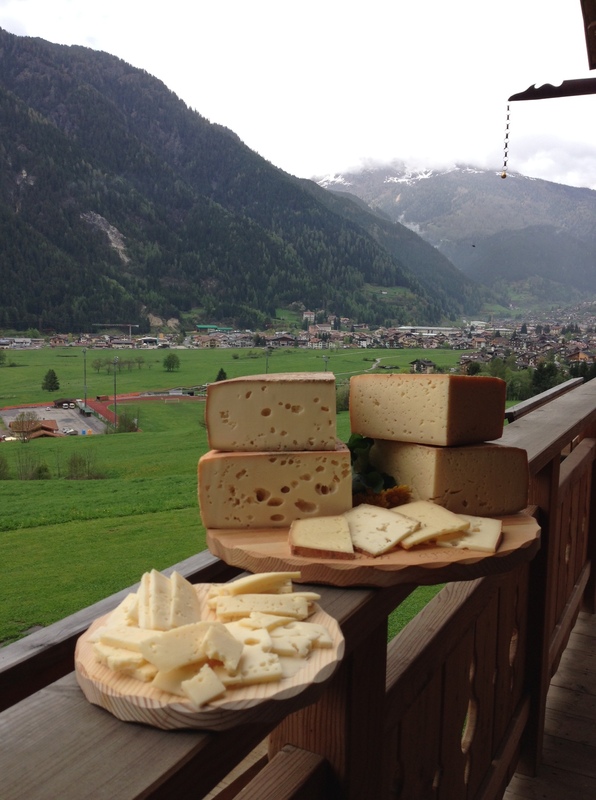 Perception that our cheeses will never be as good as European raw milk cheeses – to which I say, why should we compare them? All artisan cheeses should reflect the region where they are made and the creative influence of the cheesemaker. However – saying that, there does seem to be growing interest in locally-made cheeses and the growth of farmers markets is giving some makers a great distribution option. I think everyone involved in the cheese industry has a responsibility to promote local cheese and try to raise the bar overall. FW: What are you all-time favourite cheeses? AB: I am always asked this question, and it’s IMPOSSIBLE to answer. As a blanket statement, I would say seasonal hand-made cheeses that have been produced with animal wellbeing in mind – cheeses that have a soul, cheeses that have been cared for and loved. However – if I had to pick favourites, a short list would be: Holy Goat La Luna, Pecora Bloomy White, Bangalow Nashua, Marrook Farm Bulga, Tawin Blue, Comte, L’Etivaz, Bleu de Montbrisson, Ossau Iraty, Robiola di Rocaverano, Mont d’Or, Oscypek, San Simon, Brin d’Amour, Blu di Bufala, Pecorino Toscano Stagionato, Sbronzo, Caciocavallo Basilicata, Brocciu, Faisselle, Pleasant Ridge Reserve, Kunik, Bitto Valli del Bitto, Salers and Reblochon…. if you ask me tomorrow this list might be different. * TAFE South Australia now offers nationally accredited courses through the Artisan cheese-making academy that includes courses for cheesemongers/retailers. You can find many of Alison’s adventures from the 1st season on Channel Cheese’s YouTube page, where she meets NSW artisan cheese-makers, visits the Slow Food Cheese Festival in Bra (Italy) and participates in a wild cheesemonger competition in New York! The complete 1st season is also available on DVD, which you can purchase here and keep an eye out for Season 2, which will be on air early 2014! Thank you Alison for taking the time to answer my questions! All photos & videos supplied by Alison Brien / Channel Cheese. This entry was posted in French Specialties, Interview, Travel and tagged Channel Cheese, Cheese. Bookmark the permalink. Great post. I’m a cheese lover and enjoyed it so much. Thank you. I remember enjoying washed rind cheese made in Australia. 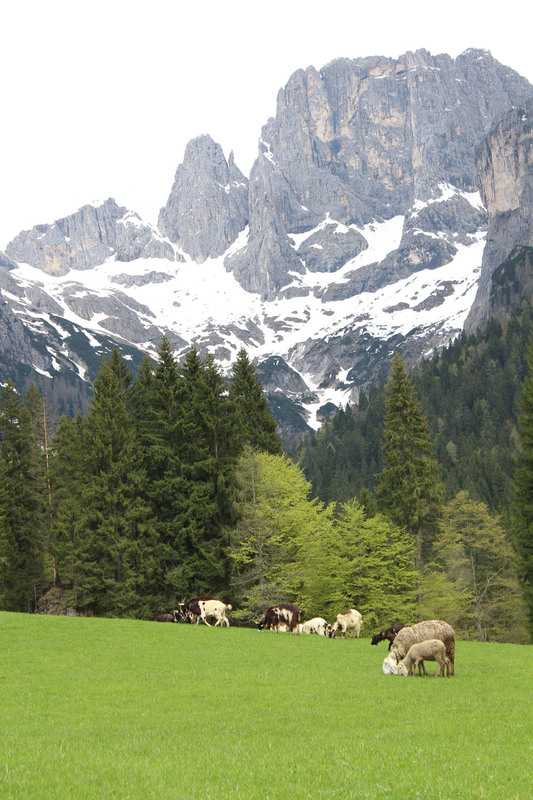 I am sure good cheese can be made anywhere with green pasture. By the way, I love Comte and donated 300g of Comte for charity auction and it was sold for €60 🙂 Everyone wants Comte! Oh, yeah. I had a French soiree last Sat with Jura wine and Comte, chestnut cake, etc. I will post about that soon. 🙂 OMG, you have to check out the Comte producer. I think it’s the best Comte ever! So fruity, nutty, mushroomy with crystal bites. Channel Cheese – my new favorite YouTube channel! That’s the spirit Candace! 😉 Thank you for visiting the blog!